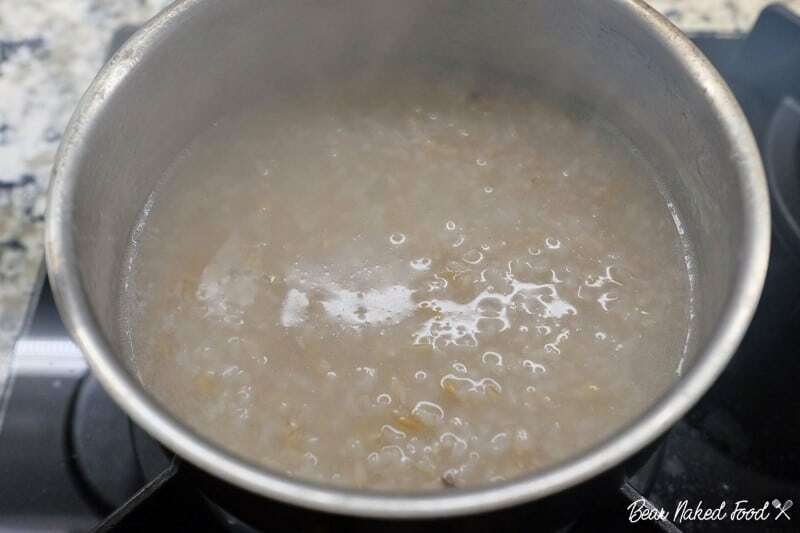 Mention porridge and the common reaction is that is sick people’s food. 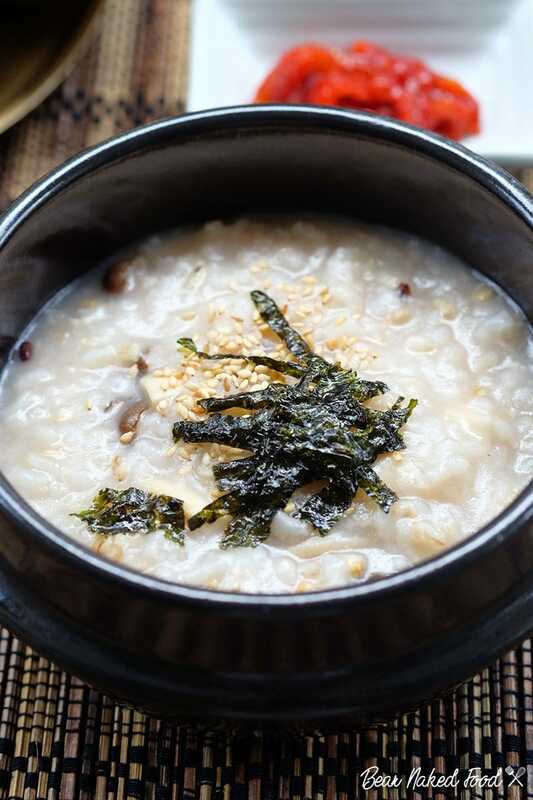 While that is quite true (most of the time), I love to indulge in a bowl of piping hot rice porridge for breakfast or lunch even when I’m perfectly healthy. 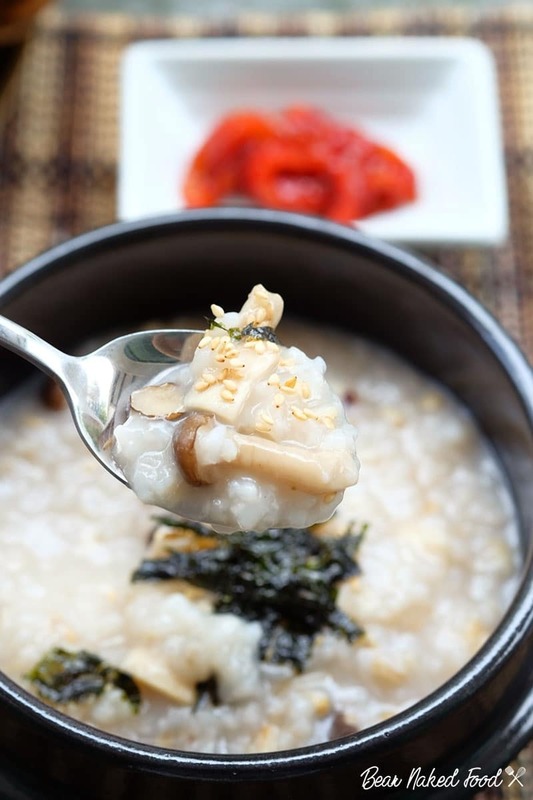 A recent trip to Seoul made me fell in love with their Korean-style mushroom rice porridge (also known as juk). I actually went back to the same juk shop twice during that trip and ordered the same mushroom porridge for breakfast. It was that good. 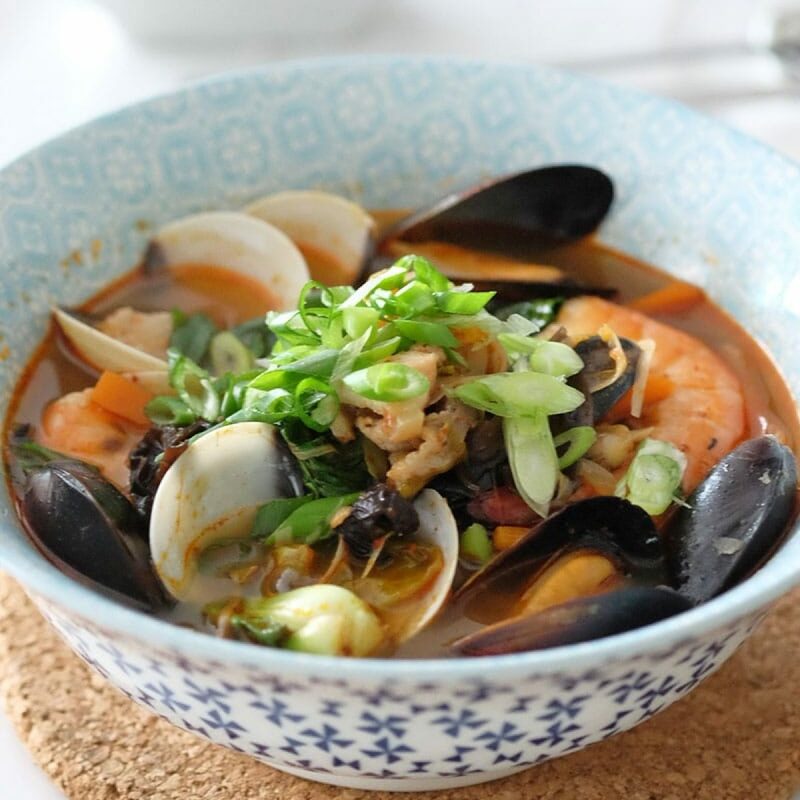 I’m using a mix of oyster mushroom and shimeiji. 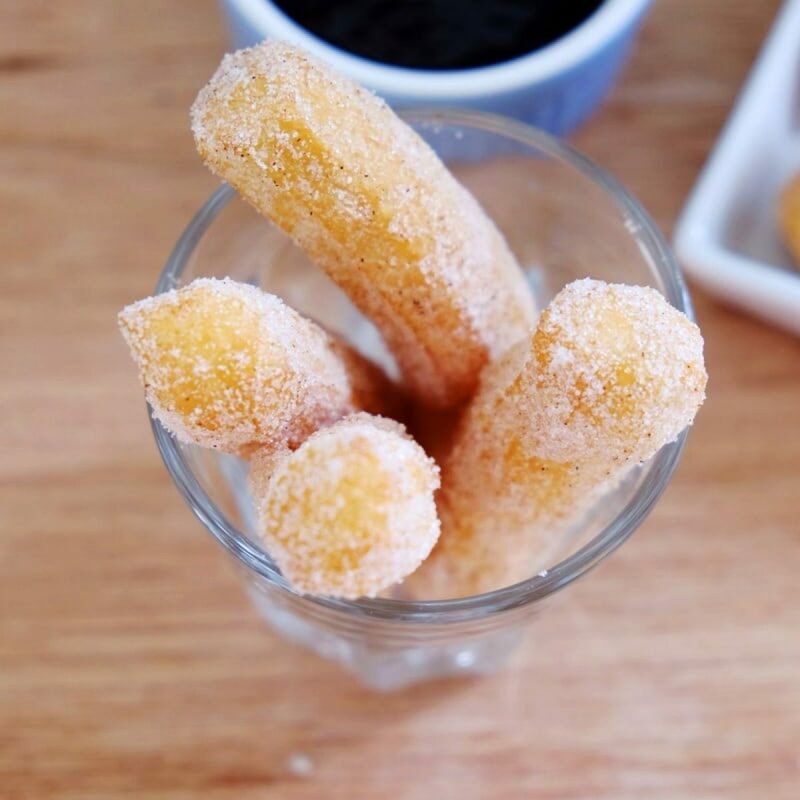 The flavor is pretty different from our Chinese version. Firstly, instead of Jasmine rice, they use short grain type. 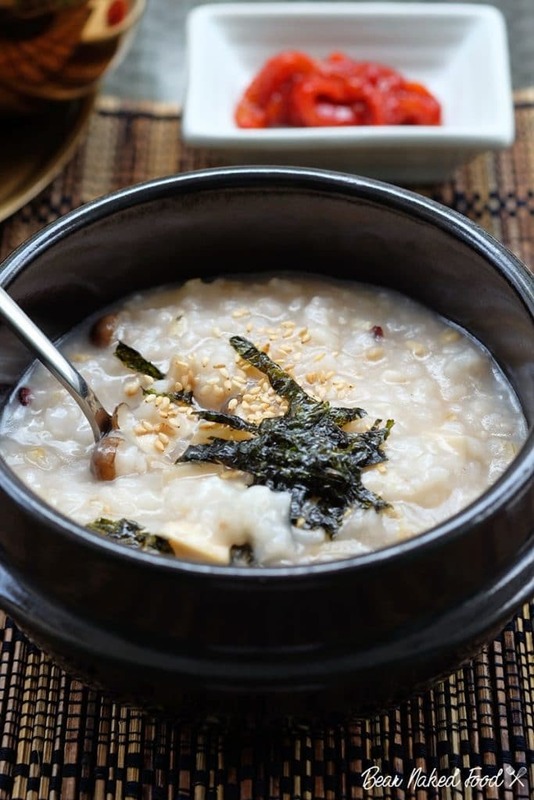 There is also a certain depth of flavor infused in the ingredients and rice porridge. 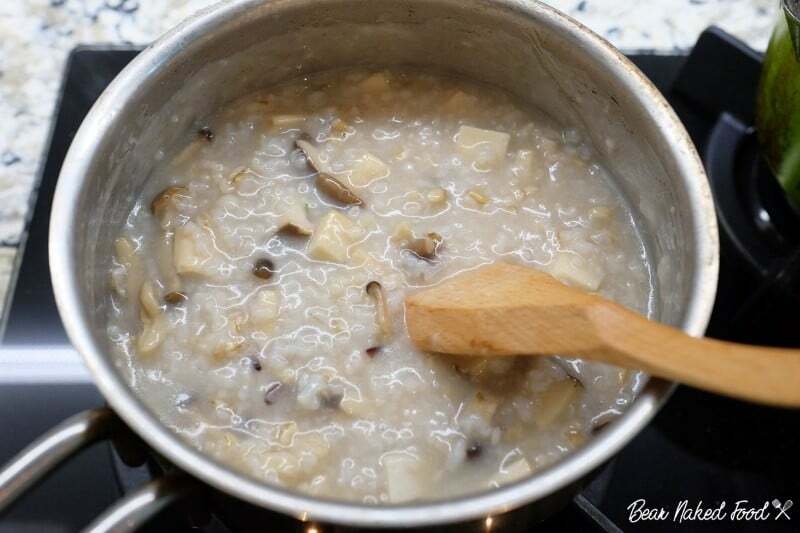 I’m guessing the porridge is cooked in a stock instead of water and the ingredients are cooked separately before adding into the porridge. 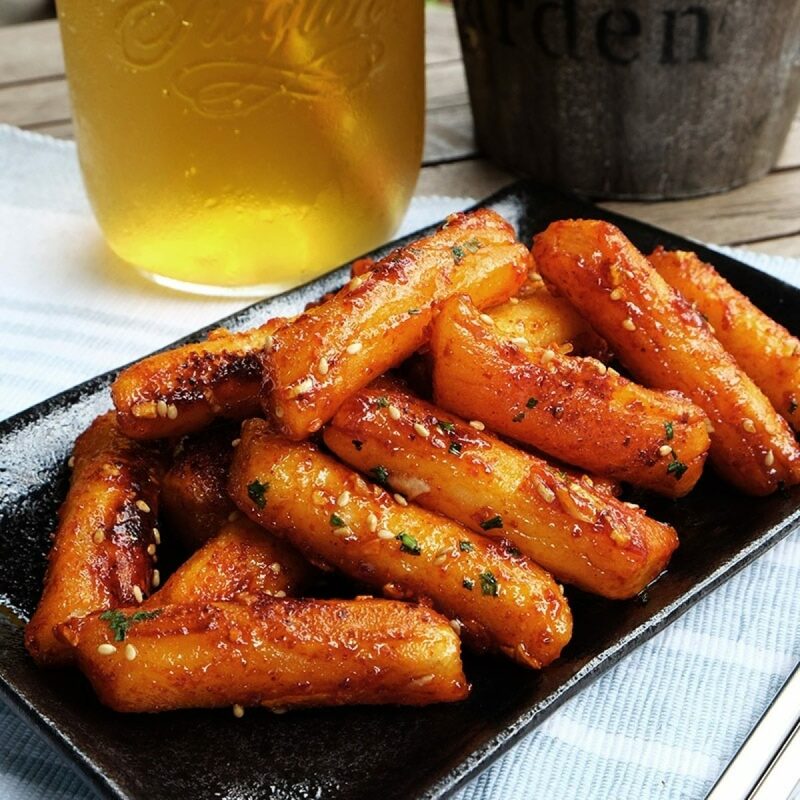 Not forgetting the generous usage of my favorite aromatic toasted sesame oil. 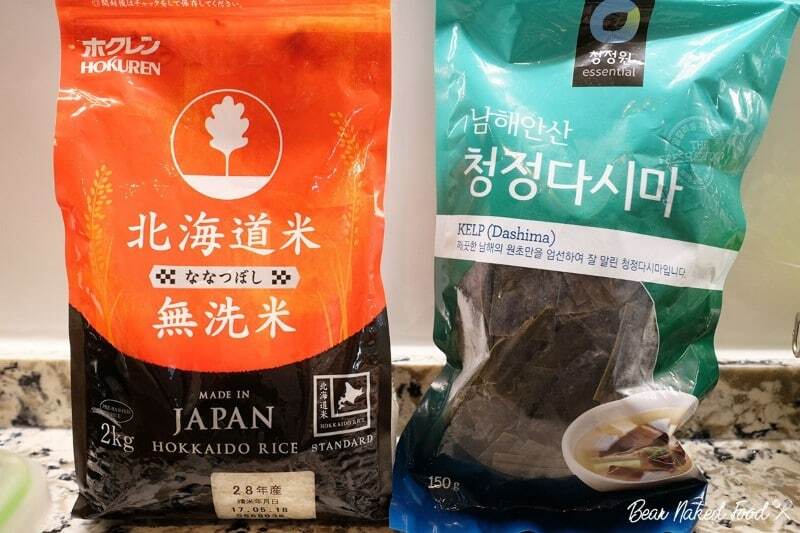 From left to right: I’m using Japanese short grain rice and kelp I obtained from Korean supermarket. 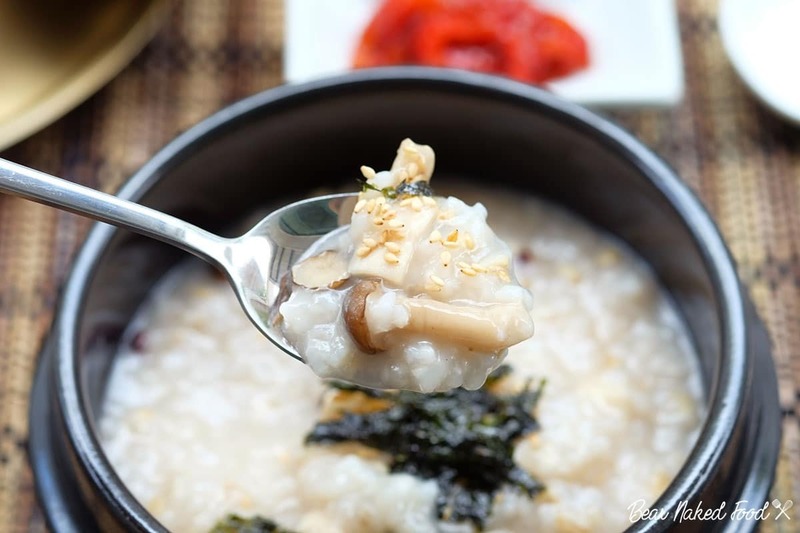 There are many different flavors of Korean rice porridge and today, I’m going to share with you my take on the Korean mushroom porridge that blew me away in so many levels. 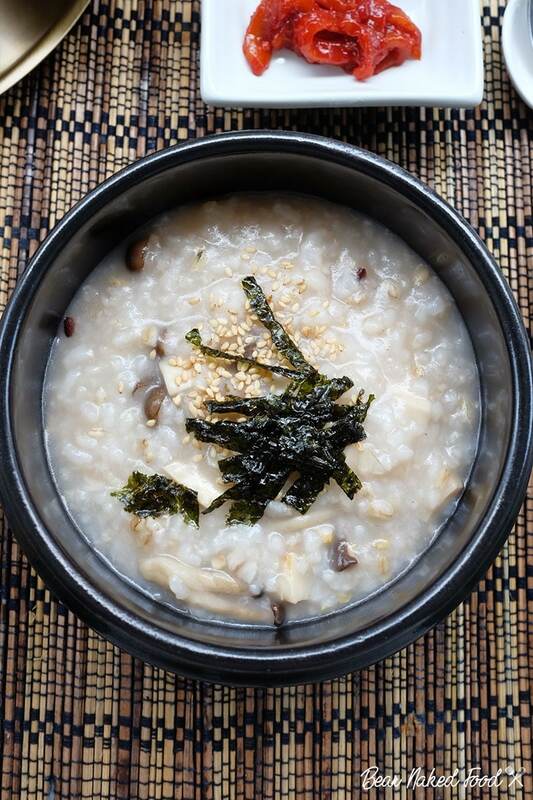 If you have other method of making Korean porridge, I would love you to share it with me. 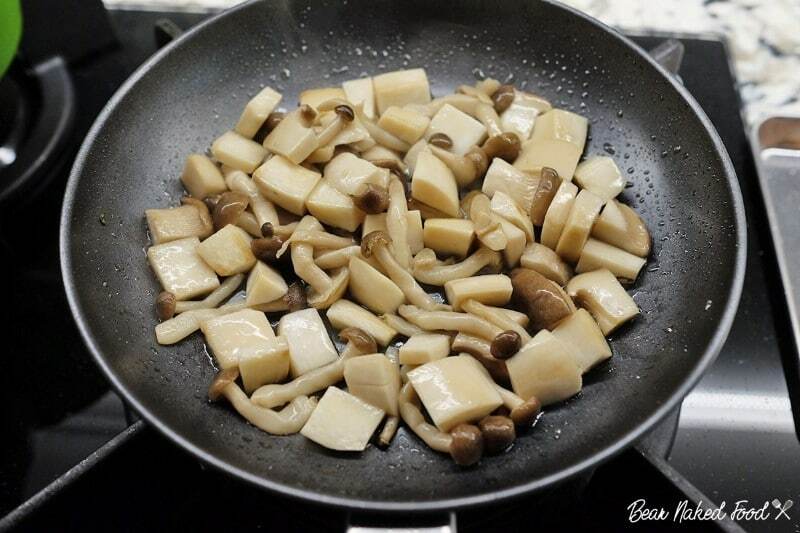 In a medium pan, add in 1 tsp sesame oil and sauté both mushrooms. Add in a pinch of salt and cook for a couple mins, until slightly softened. 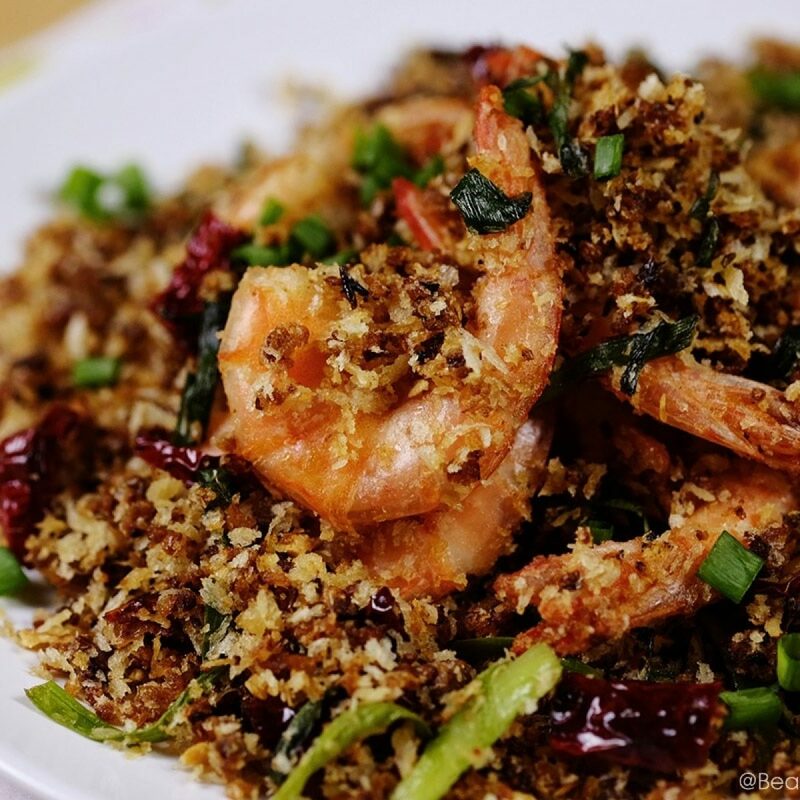 In a deep based pot, drizzle in 1 tsp sesame oil and toss the rice in the pan lightly. 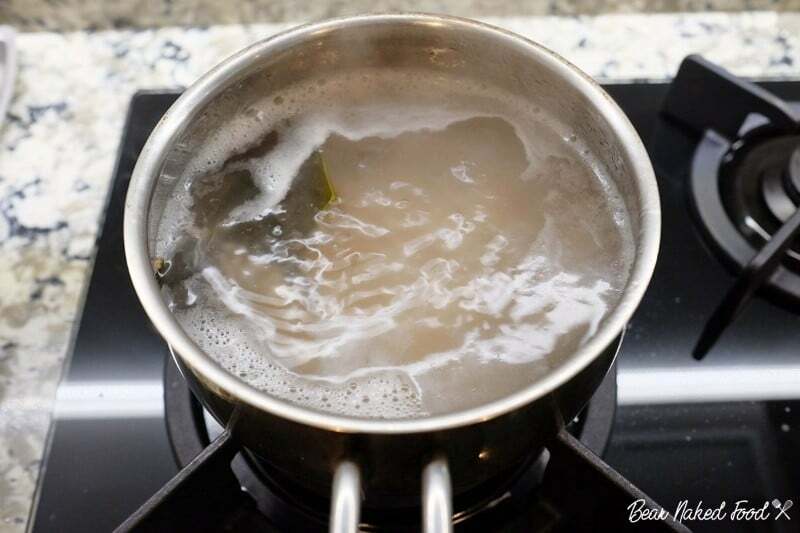 Add in mushroom stock, kelp and bring to boil. Lower the heat and cover. Stir occasionally to prevent porridge from sticking. 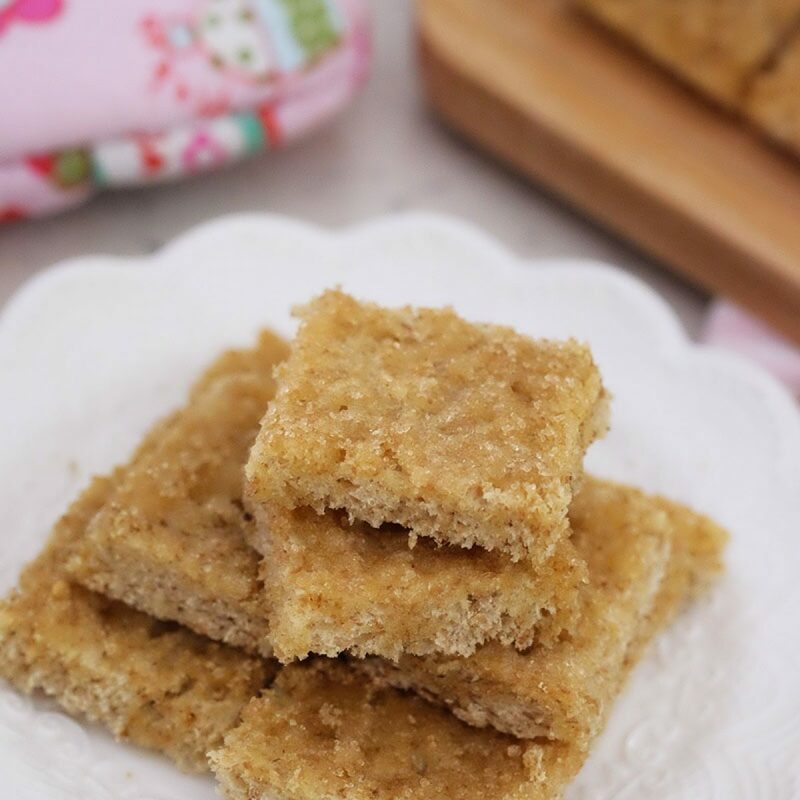 Continue to cook for 20 – 25 mins, or until it reaches a creamy consistency. Add more stock if necessary. 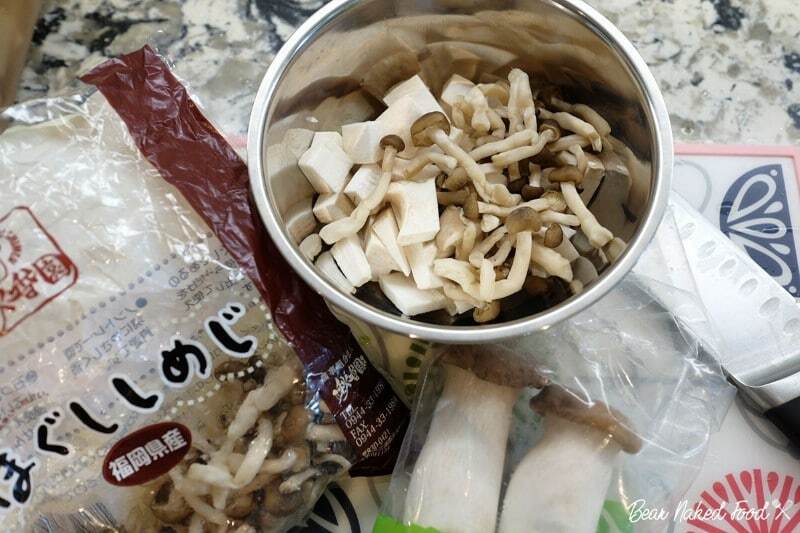 Remove kelp pieces and add in cooked mushroom. Continue to simmer for another 10 mins. Season with some salt and sesame oil. 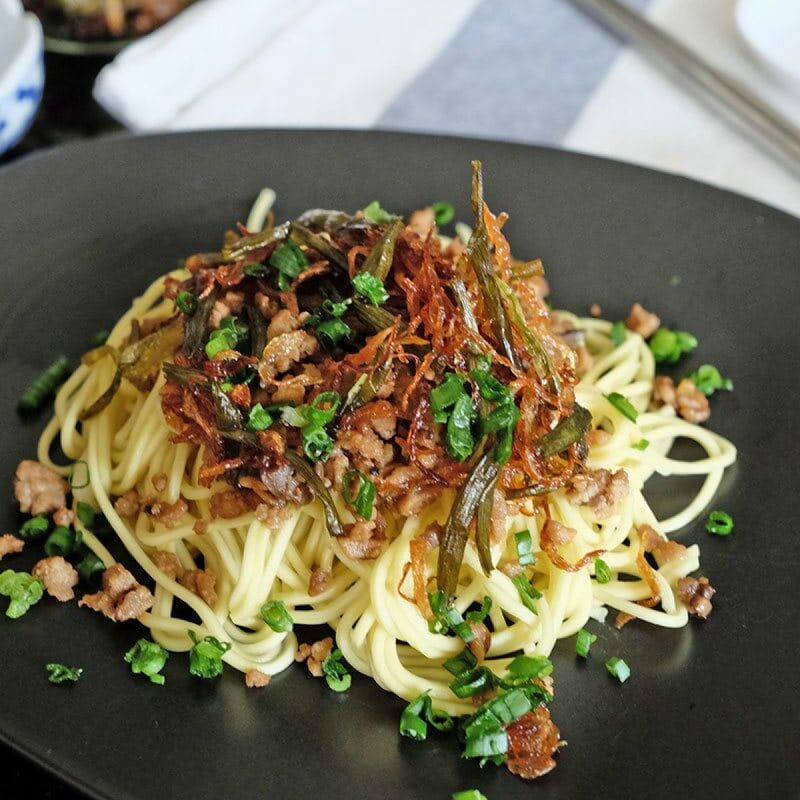 Serve warm and garnish with toasted sesame seeds and Korean dried seaweed.